Sanitation access in Uganda like many developing countries still remains a challenge. Although improvements have been registered within urban areas, the situation is not the same in rural setting. The situation is further aggravated by, unimproved human excreta disposal and open defecation especially by people in transit along different highways, due to lack of public toilets. Improper human excreta disposal resulting from inadequate facilities has diverse effects on human health and the environment. This was the motivating factor for the drive to acquire more knowledge and skills that will equip me to contribute to the solutions of unimproved access to sanitation infrastructure and services. Thus, my introduction to the Global Sanitation Learning Alliance (GSLA) hosted by the IHE Delft, the Netherlands was a great opportunity to achieve my life-long ambition. My knowledge of sanitation management was greatly improved through my involvement in the various educational programmes of the GSLA such as: (i) MOOC Planning and Design of Sanitation Systems and Technologies (Eawag, Switzerland), 2014; (ii) MOOC Introduction to Household Water Treatment and Safe Storage (Eawag, Switzerland), 2015; (iii) MOOC Municipal Solid Waste Management in Developing Countries (Eawag, Switzerland), 2016; and (iv) completion of a PhD in Civil Engineering, under Sanitation for Urban Poor (SaniUP) project hosted at IHE Delft and Makerere University, Kampala 2018. The knowledge again from the participation in the above programmes have helped me in the participation and implementation of several sanitation consultancy projects within my county. For instance, I was an Assistant Team Leader and Sanitation expert on the Feasibility Study and Detailed Design of Water Supply and Sanitation Systems including faecal sludge management for different Rural Growth Centers under the Ministry of Water and Environment. The scope of the above projects works involves: (i) proposing appropriate technologies for use at household level; (ii) provision of appropriate, adequate and sustainably managed public water borne sanitation facilities for markets, taxi parks, bus parks and community centres; and (iii) Designing appropriate faecal sludge and solid waste disposal facilities with the accompanying transportation and handling equipment. Also, on completion of my PhD studies I became a Sanitation expert on a feasibility study and detailed design of Highway Public Sanitation and Hygiene Facilities along selected highways, including developing a viable management model toilet facilities under Ministry of Water and Environment; and provided technical assistance on the design of sanitation facilities for public primary schools in Kampala, under Kampala Capital City Authority (KCCA) funded by GIZ under Sanitation For Millions (S4M) project. 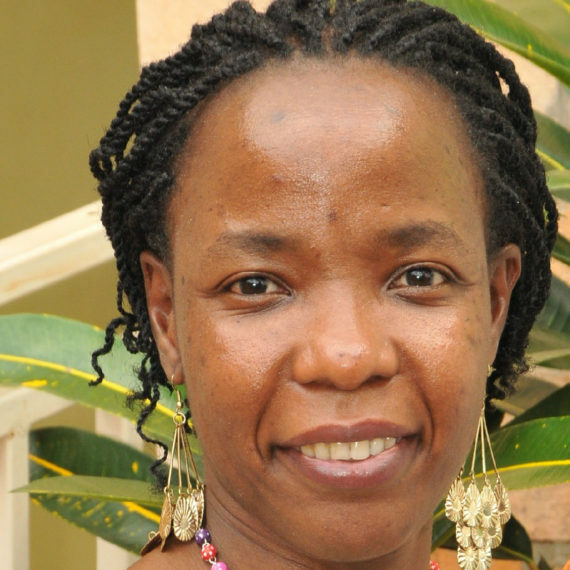 I was offered a position of a Lecturer of Water and Sanitation Engineering in the Department of Civil and Building Engineering, Faculty of Technology, Kyambogo University Kampala, which I took up in December 2018, I teach sanitation related courses at both Undergraduate and Masters Levels. I am also involved in proposal preparation and responsible for supervision of students during research in Sanitation related fields. Following my appointment as a lecture, I joined the Uganda National Bureau of Standards Technical Committee (UNBS/TC) on Building and Construction as a sanitation expert and subsequently the International Standards Organisation Project Committee ISO/PC 318 on Community Scale Resource Oriented Sanitation Treatment Systems. In additionally, following the publication of ISI Journal articles in sanitation during my PhD studies, I have acted a peer reviewer for article on sanitation in BMC Public Health, Water Research, Water South Africa (Water SA) and African Journal of Environmental Science and Technology (AJEST). After I completed PhD study in Delft I returned to my country to improve FS and waste management. After I completed MSc study at IHE Delft I applied skills in practice. Do you want to learn how? If you want to know how I helped IDPs in Sudan to manage their faecal sludge, click here. If you want to learn how I contributed to capacity building i Niger click here. Do you want to learn how I applied knowledge from the onlie course on FSM in practice? Click here. 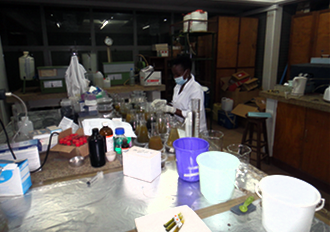 Are you interested to learn how I have facilitated establishment of the Sanitation Research Center at my university? Here you can read how I improved wetlands system for faecal sludge treatment in Bangladesh. My story is about constructing the solid pit latrines in Malawi. Although all care is taken to ensure the integrity and the quality of alumni stories and the information herein, no responsibility is assumed by the authors nor IHE Delft for any damage to the property or persons as a result of the use of the information contained herein. IHE Delft was not in a position to check and verify the accuracy and authenticity of the information published in the stories. For any additional information about the story please contact the author. Products marked with * have been developed and made available under the project Accelerating the Impact of Education and Training on Non-sewered Sanitation (OPP1157500) funded by the Bill & Melinda Gates Foundation (BMGF). The content is available for free unlimited access and use, consistent with BMGF’s commitment to ensuring open access to information and knowledge. Therefore, sharing (to copy and redistribute the material in any medium or format) and adapting (transforming, and building upon the material for any purpose) is allowed, provided appropriate credit is given to the author(s). Although care has been taken to ensure the integrity and quality of these materials and information, no responsibility is assumed by the author(s) or IHE Delft for any damage to property or persons as a result of use of these materials and/or the information contained herein.